We have extensive experience in the application of accent striping and graphics on vehicles. 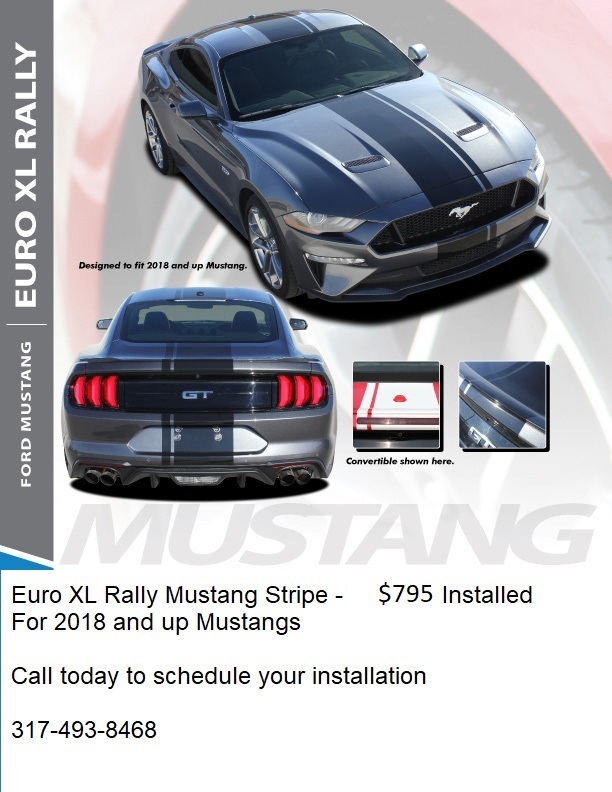 From basic "pin-stripes" (two small lines running down the sides of your car) to the big dual racing stripes (dual 10" stripes or larger that go up and over the top and down the back of a muscle cars), we got you covered. 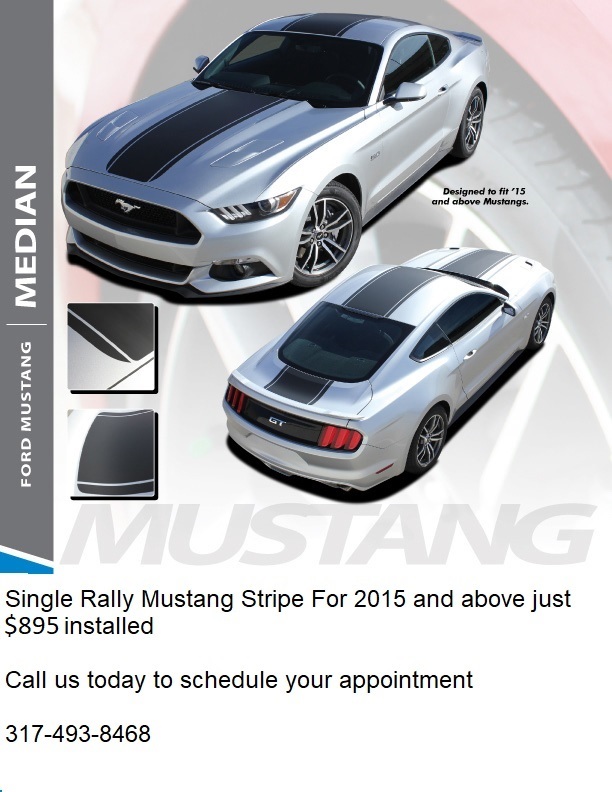 We have added these accents to all kinds of vehicles but feel Mustangs are one of America's premier muscle cars. 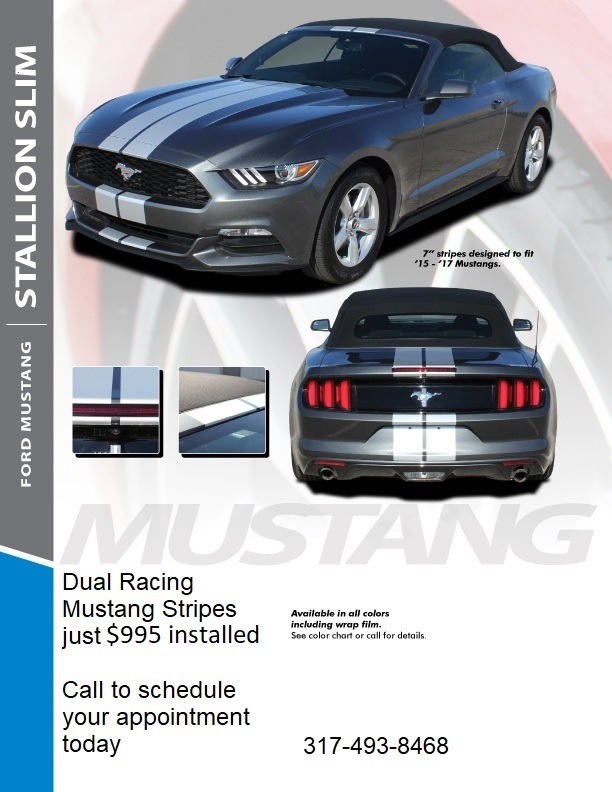 Why Add Stripes to Your Mustang? 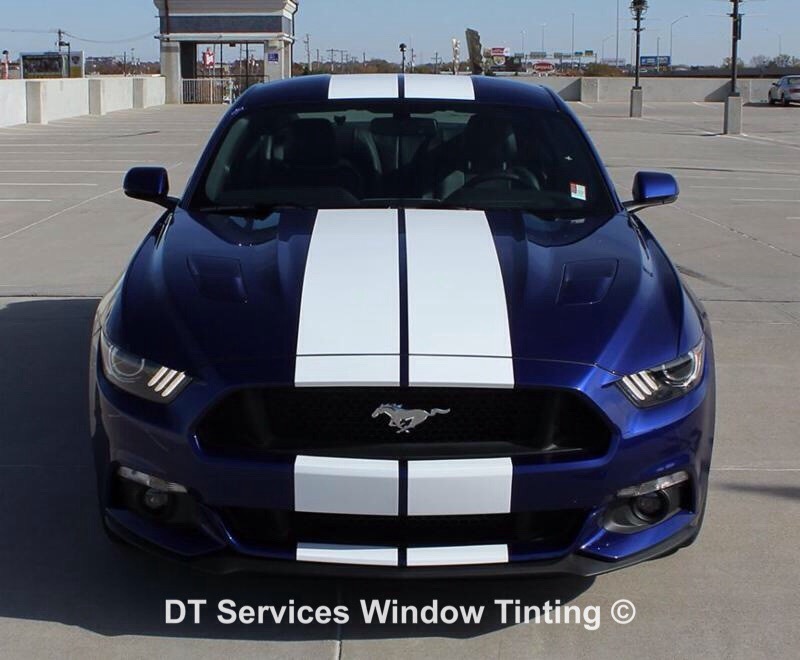 Adding stripes to a vehicle like a Ford Mustang not only makes it look more desirable but, especially if they are done right by a professional installer, can add value to your vehicle. 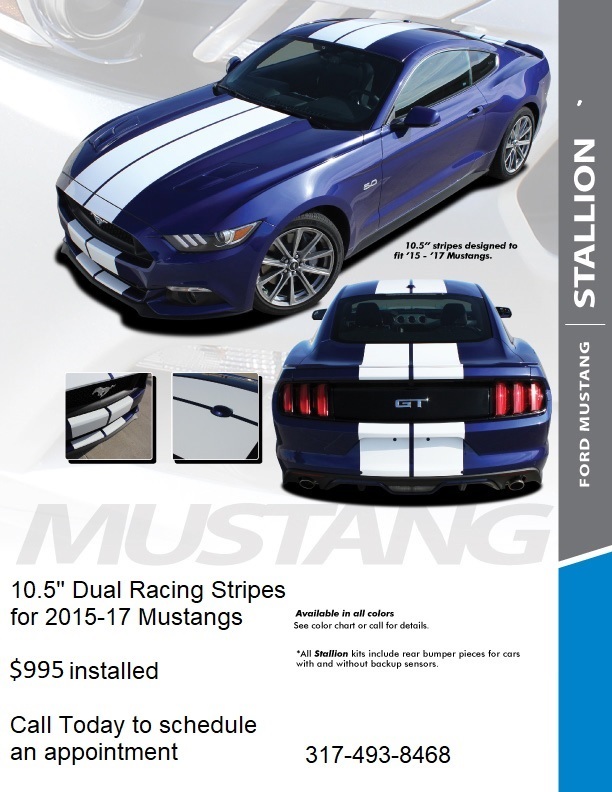 Our Mustang Stripes have been designed by a leading industry graphics company. 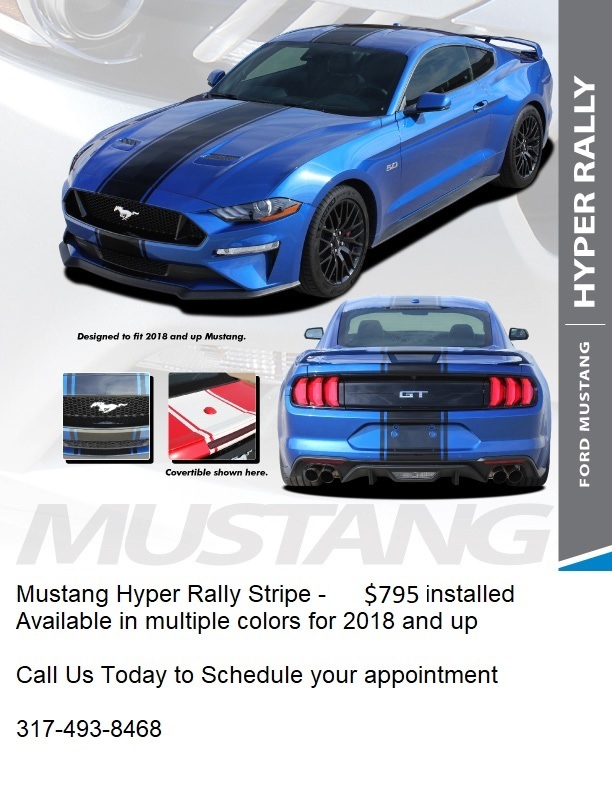 This company supplies stripes and graphics to a wide variety of dealerships and aftermarket installers across the US and the rest of the world. Many auto manufactures rely on our supplier to make stripes that have that "factory look" so they don't look added after the fact but look like the vehicle was designed around the stripes. The end result is a high quality, well designed, proper fitted stripe package that doesn't look cheap or purchased from an online store based in a third world country. Don't just go by the pictures on this site alone to decide what you want in the way of a racing stripe. All the stripes we install are available in a wide array of colors to fit nearly everyone's taste. If you don't see something, just ask. Chances are good we can get it for you in the color you want. 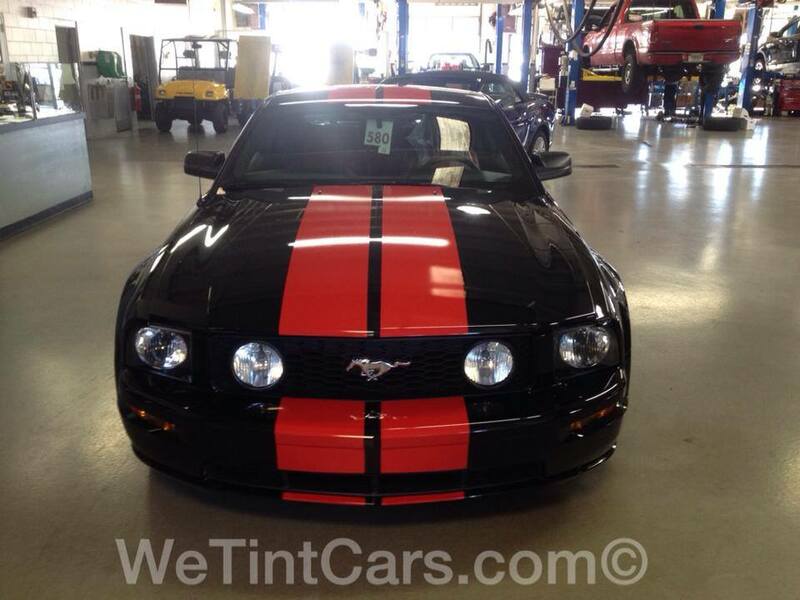 We also have Mustang stripes for older models NOT shown here on this website. Just click here to see a comprehensive online catalog of what we have available. 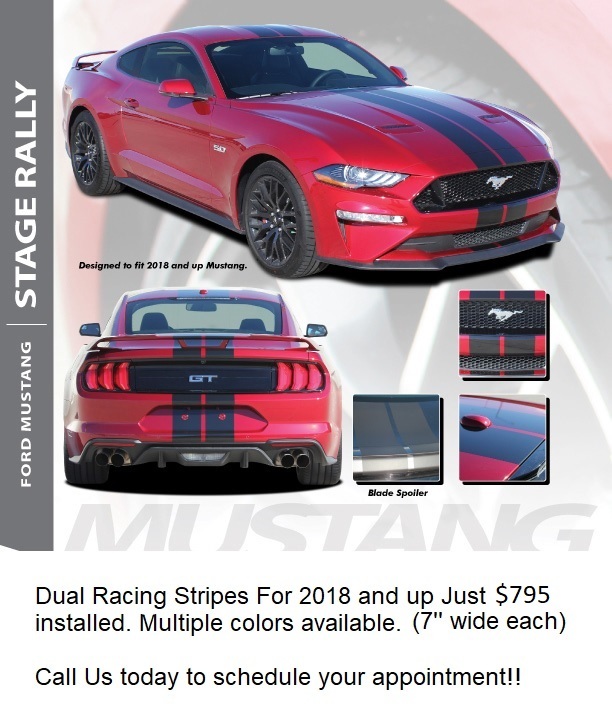 Because Ford continues to update, redesign and restyle their Mustang models from time to time, we are also doing the same to our Mustang Stripes. As each new model comes onboard, you'll want to check back to see what is currently available. Dual Rally Stripes $595 installed! !